As an importer, Made-in-China is a good choice for many products which can sell locally or online with a good profit. But in fact, too many new-to-China buyers focus only on product price and then get an ugly surprise when they have to pay in their destination country, which they didn’t plan for in the budget. Find a supplier & get a quotation is just the first step. All buyers should calculate a landed cost of the product they are purchasing before actually importing it. Do not go through the trouble of importing and then finding out you spent more than you can sell it for. This post will help you study and understand the true cost of imported goods. Please note: Quite a few buyers are always looking for an easy formula or template for their first import calculation. As far as we know, none such a free & instant tool yet. It’s so complicated and there are numerous variables. After you have learned the basic principle here, then focus on the first trial order with small quantity. This should be the best practice. Landed cost refers to the total cost of a product (a shipment) one needs to pay, from the seller’s warehouse/manufacturer to the buyer’s warehouse/facility. This list of components that are needed to determine include the original cost of the item, inspection charges, all brokerage and logistics fees, complete shipping costs, customs duties, tariffs, taxes, insurance, currency conversion, crating costs, bank charge and handling fees. Not all of these components are present in every shipment, but must be considered part of the total cost. You can check through a chart below, and take it as your calculation formula. It’s the trade term agreed by the seller and buyer. And it should be listed on the Proforma Invoice or Quote Sheet. The Incoterms rules are intended primarily to clearly communicate the tasks, costs, and risks associated with the transportation and delivery of goods. EXW, means buyer pays everything in transport. DDP, means seller pays everything in transport. Of course you can choose DDP (shipping via courier is DAP). In this case, you don’t need to do any calculation by yourself. But obviously, a considerable amount of money will slip away easily. Besides, almost none suppliers are not able to quote the DDP price, which can not be determined at the beginning for most cases. That’s why most importers will choose FOB, which means, let the supplier handle the internal transport to the nearer port or airport, and prepare customs documents for exporting, also bear the local charges. While if small orders, EXW is better. Then you can handle most of the rest by working together with your customs broker or your freight forwarder – i.e. get a freight quote from FOB to your door. Cost of goods – $ variable depending on unit price and quantity. Freight – $ variable, depending on volume, port it’s coming from/going to, time of year, freight company used etc. Allow $1,00 – $5,000. Other e.g. Customs clearance, document fees, wharf charges etc – Allow another 3% on top of everything else. Next, let’s move forward to the most complex part – customs fees. One common mistake here is to ask the supplier in China to confirm the taxes and duties in the destination market. Suppliers may not be knowledgeable about how your government would classify the given product and what regulations apply. Not only your supplier, but also shipping services cannot say with absolute certainty what the duty will be, only the customs authority can make a final determination about what is owed. The importer is ultimately responsible for paying any duty owed on an import, which means you are totally responsible for this. Before finding the tariff amount for a particular product, you need to identify the harmonized tariff schedule number for the goods. 1. Find HS Code of your products. HS Codes (Harmonized Commodity Description and Coding System) are part of an international classification system, which is simple for customs locating the specific item among catalogs, and it associates an imported product category with a specific import duty. Please note: HS Codes is also referred to as tariff codes, customs codes, harmonized codes, export codes, import codes, and Harmonized Commodity Description and Coding System codes. So never get confused. When there’s a 6-10 digit code representing the product, that’s the one for customs. HS Codes can be varied in different countries. The code that your supplier provided for you is just a basis. Use the first 6-digit as the main category then reclassify the specific item in your country. It should be listed on the Commercial Invoice correctly. Customs Duties & Taxes will be calculated by HS Code of different products and the declared value (see #2 below) on the Commercial Invoice. Knowing the right code of your product is of central importance to your importing process. Without it or error using may not only delay customs clearance but could also incur unexpected costs. You can find more details here. 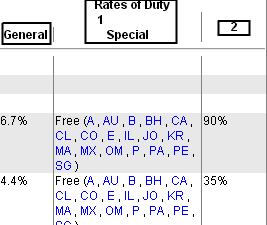 Customs fees are percentages calculated based on the Customs Value. The customs value is based on the declared value, which in turn shall be stated on Commercial Invoice – a document issued by the supplier for clearance. The de minimis value of destination country is the declared value of your shipment below which duty and tax will not apply. Meaning, if you are importing a shipment with a total declared value LESS than this amount, duty and tax do not apply (certain products may be subject to other types of fees or taxes, i.e. alcohol and tobacco). Certain countries have a separate threshold. Below show you some data from publicly available sources or our practical experiences. We accept that it may not be perfectly accurate or up to date. Please note: It’s always the importer’s responsibility to ensure that the correct declared value is stated on the Commercial Invoice. This responsibility can NOT be shifted to the seller. A duty is a kind of tax, often associated with customs, levied by a state on the import or export of goods in international trade. A duty levied on goods being imported is referred to as an import duty. What we mentioned Duty here are all Import Customs Duties. Almost all countries have three levels of duties for origin countries. Below is a screenshot from Harmonized Tariff Schedule of the United States. Imports from most countries are dutiable at the normal trade relations rates under the General header in Column 1. Goods from countries that do not have normal trade relations with the United States are dutiable at the full rates in Column 2. Goods from some countries enjoy duty-free status. They are shown under the Special header in Column 1 of the tariff schedule. You can take the three different rates as Most Loved (1), Most Hated (2), and others (general). The first column (general) is referred to as the “Most Favored Nation”, and China is considered a “Most Favored Nation” by most countries. You can find a list of all countries under U.S. sanctions, which classified as Most Hated. It’s easy to imagine: Products that are not manufactured in your country tend to have lower customs duty rates, sometimes as low as 0%. On the other hand, the opposite is often true for products that are considered part of an important industry in your country, sometimes punitive duties unlimited. For example, you are an importer in EU. And you want to import T-Shirts for women or girls to sell locally. You’ve been told the hs code is 6106900020. As you know, all EU member states have the same customs duty rates on products imported from non-EU countries. An importer only pays customs once, for products imported from China. Custom duties are not added to products sold within the European Union. Thus, your Spanish and German customers won’t need to pay customs on products that have already entered EU territory. Go to http://www.hscode.org/ and type in “T-shirt” and search, or just type in “610690”. You can try both reverse searches to make sure the hs code is correct. Go to http://ec.europa.eu/taxation_customs/dds2/taric/taric_consultation.jsp and fill in the “Goods code” and “Country of origin”, which is 610690 and China-CN. Then dig to the final 12%. Please note that there are other types of duties except for the regular one. 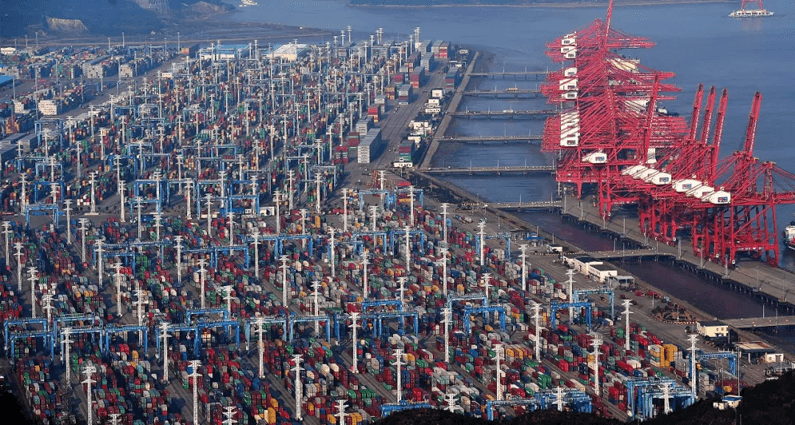 For example, if you are an importer in the United States, you are responsible for knowing your imported goods are subject to an ADD (Anti-Dumping Duties) or CVD (Counter-Veiling Duties) case. If so, then your Customs declaration must be of the type corresponding to the type of import duties imposed. Some ADD or CVD rates are as much as 100% of the value of the goods. A value-added tax (VAT) is a form of consumption tax. From the perspective of the buyer, it is a tax on the purchase price. From that of the seller, it is a tax only on the value added to a product, material, or service, from an accounting point of view, by this stage of its manufacture or distribution. In EU, for example, different member states have different VAT rates. However, the standard VAT rate applies to most consumer and industrial products imported from China, which is currently 20%. Click here to find the VAT rates in different EU countries (August, 2016). There are no VAT fee for US importers. Please note: the VAT added on the imports, can be offset against VAT added on sales. GST applies to most products imported to Australia, 10% on most goods and services transactions. GST is levied on most transactions in the production process, but is refunded to all parties in the chain of production other than the final consumer. How and when should you pay these customs fees? This depends on how your goods were shipped. 1. If shipped via postal service, such as China Post/Hong Kong Post/EMS. You need to pay the mail carrier and/or go to your local post office to pay any duty and processing fees owed when your package arrives at that post office. 2. If shipped via courier service, such as DHL/UPS/TNT/FedEx. The delivery courier will either bill you for the duty they paid on your behalf or require payment on delivery. 3. If shipped via freight service, such as air freight or sea freight. 3.1 If no arrangements were made to forward the goods to your door, you will need to either clear them through customs yourself, in which case you will pay duty directly at the port or airport where your goods arrived. Alternatively, you will need to arrange for a broker to clear your goods. If you hire a broker, they will bill you for their services and any duty they paid on your behalf. 3.2 If arrangements were made to forward your goods to you, you will be billed for any duty owed, and for the services of the broker who cleared them from the entry. Here’s a useful link checking worldwide VAT, GST and Sales Tax for easy calculation of landed cost. Besides, some authority government links listed below. While the government data is updated and authoritive, there are also 3rd party tools for easy math. Shipping rates may be the #1 you can imagine apart from the cargo value when importing stuff from China. But there is a big chance other costs involved and these should be well understood to ensure you have a clear insight into what your actually paid by the time goods arrive in your warehouse. Generally, you can calculate the total landed cost by two means. One is doing your research. The other one is looking for help from the Customs or your freight forwarder. You can combine the two methods to make your work more efficient. Sometimes it’s hard to calculate complete charges that may occur in a real importing process. So we suggest buy small quantity from the start, LCL sea shipping for cost-saving or express courier delivery for speed. When you got all the actual bills after the arrival of your goods, then compare with the estimates you’ve used. Such a trial order will benefit you a lot. Let us know if we can assist you in any way.